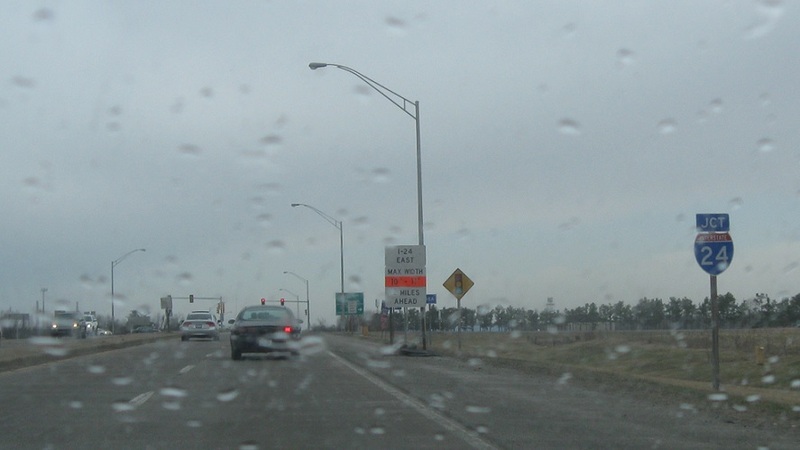 Reassurance shield after Route 145. 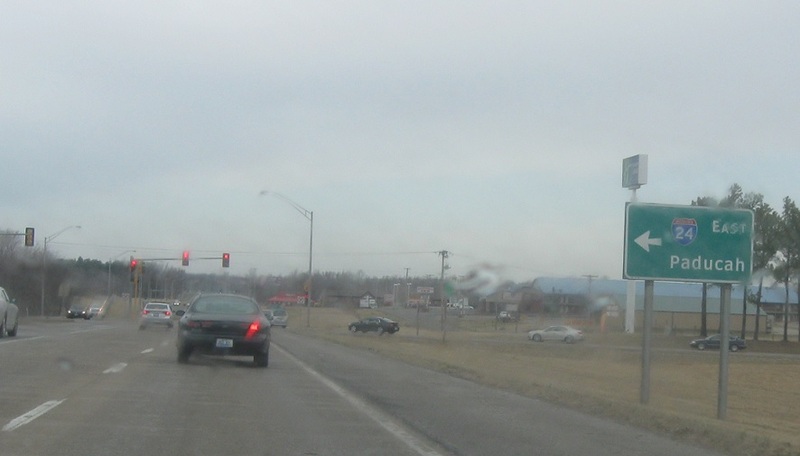 Just after 145, we’ll approach Interstate 24. 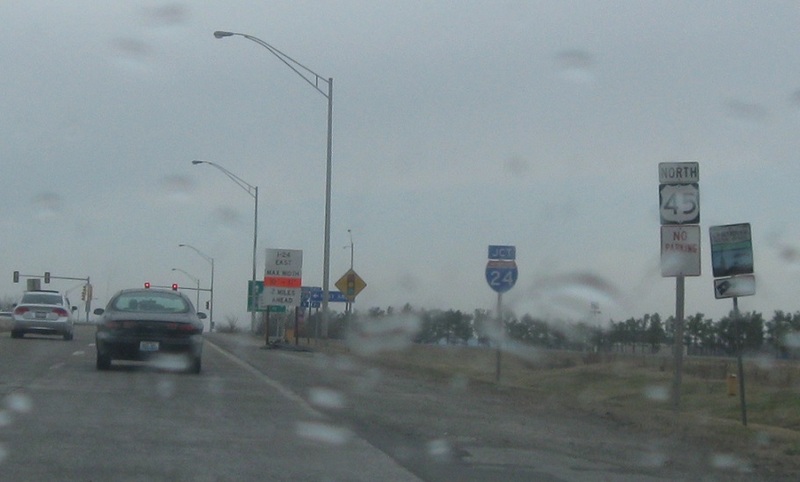 Turn right for I-24 west. Stay straight for 24 east. 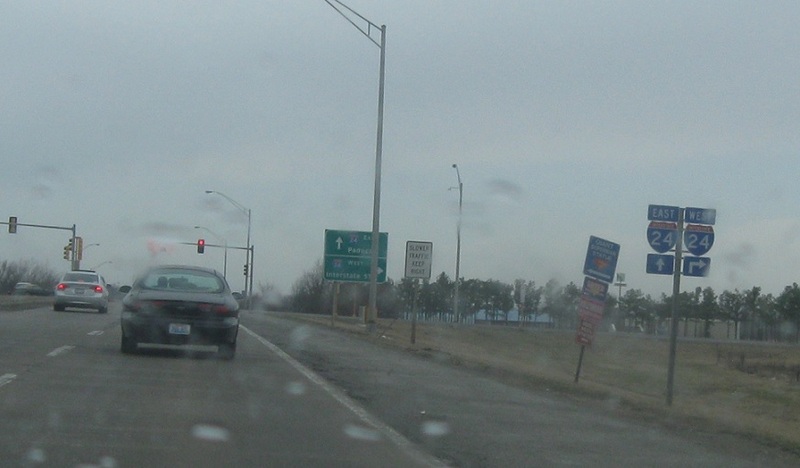 Follow I-24 west to Interstate 57. Odd choice in control cities. 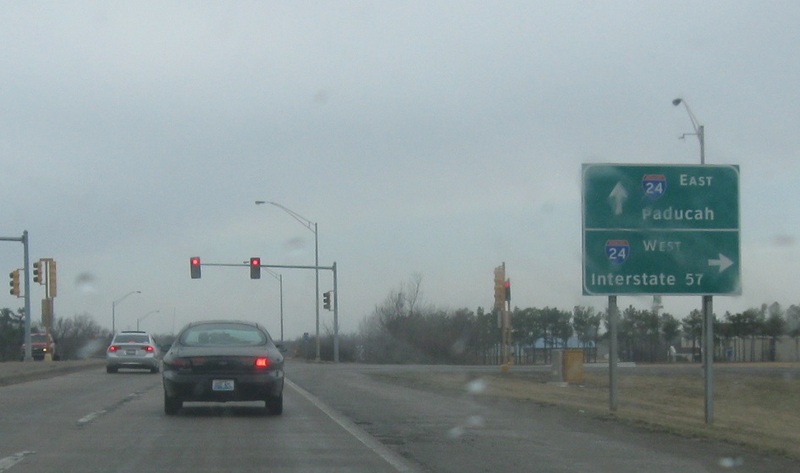 Stay straight for I-24 east. Turn left for 24 east. 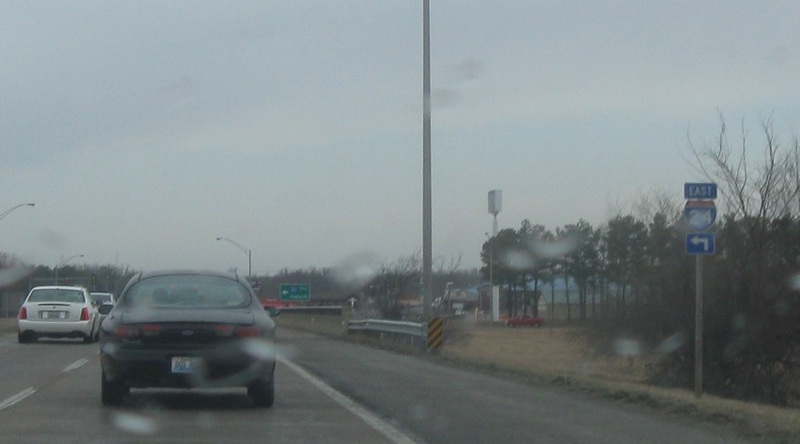 Follow I-24 east back to Paducah, Ky.